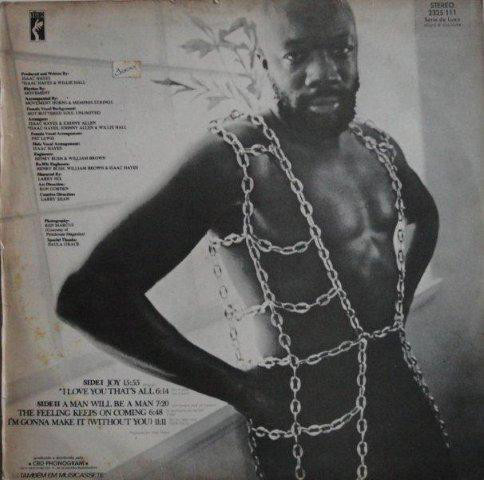 Isaac Hayes stared the early seventies trend for lengthy, smoochy, late-night soul workouts that was continued by Barry White. 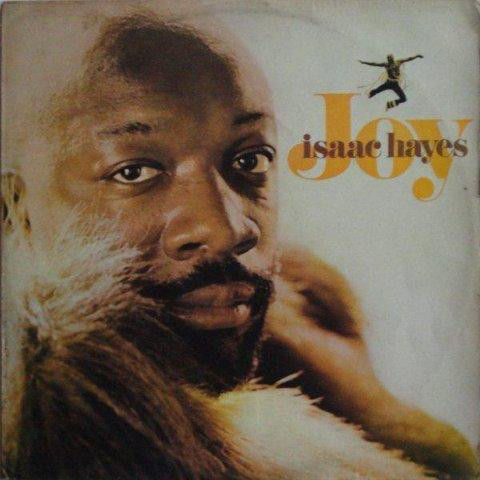 Hayes often took established classics, either soul songs or easy-listening Burt Bacharach/Hal David numbers, slowing them down and giving them the whole orchestrated soul treatment. By 1973, he had released four albums in this style (not counting his debut or the "Shaft" soundtrack). This would be the last one specifically like this (only five tracks). Later ones would see a few more tracks per album and lengths of around six minutes as opposed to twelve, fifteen or eighteen. By 1977, Hayes had caught on to the disco thang, man. So, this is the sort of end of a mini-era. Notably, there are no covers on here, they are all Hayes originals. Deep, seductive soul is the order of the day, too, as opposed to dramatic, orchestrated numbers. Special mention goes out for the gold chain string vest as modelled on the rear cover. Did he really think that was a cool look? Maybe he did. The title track is, dare I say, a joy. From the opening percussion, bass, funky guitar and strings, it has that deep dramatic feel. Then the horns gently ease their way in and you get that typical mid-seventies soundtrack sound. This wasn't a soundtrack piece, but it sho'nuff sounds like it, brother. Isaac arrives soon after with a deep, resonant, soulful late-night vocal. The sound on this is gloriously deep, warm and bassy. Soul/funk perfection. Isaac out-Barrys Barry White here. Fifteen minutes long. The track never strays from its seductive groove throughout. Isaac finds that point and keeps it. "I Love You That's All" starts with a cheesy spoken bit between Isaac and a female lover as he pours her some champagne, complete with bubbles and slurpuing noises. Two minutes it lasts. When the music arrives it is unsurprisingly, full of growled, whispering spoken vocals over a gentle beat and romantic strings. All good turn down the lights fare. A few orgasmic noises arrive to see the track to its climax, so to speak. Job done, Isaac. It was quite de rigeur to have female pleasure in the background in mid-seventies soul records. Major Harris's "Love Won't Let Me Wait" and Donna Summer's "Love To Love You Baby" spring to mind. I sort of miss those shameless seduction numbers. "A Man Will Be A Man" is another in the deep, sensual soul mode. It is a slow pace, warm ballad. "The Feeling Keeps On Coming" is a sublime piece of intense funky soul with a captivating, slow bassy beat. "I'm Gonna Make It (Without You)" may as well be Barry White - the spoken intro, the backing, it could all have come from "Stone 'Gon". At nearly ten minute it is probably a tiny bit too long, but I'm not really complaining, it just washes over you like a warm bath. Overall, this is probably my favourite of the great early seventies Isaac Hayes "stretched-out soul" albums.